Aloe vera, green tea, squalane, niacinamide, peptides, vitamin A, antarcticine, glycerin, allantoin, bisabolol: all ingredients that nourish and hydrate skin without clogging pores or creating more oil. These are the Holy Grail ingredients that oily and acne-prone skin types should be looking for in their face moisturizers. After all, every skin type needs hydration, but not every skin type needs the oils. As we transition into fall, it’s imperative to keep skin moisturized and, as we’ve mentioned countless times before, even oily and acne-prone skin types need a daily moisturizer (skimp out and you could actually be aiding your skin in creating more oil, hence added grease and additional breakouts). For those who have tried the oil-based products that promise to fight oil with oil and have seen adverse reactions to their skin, worry not. 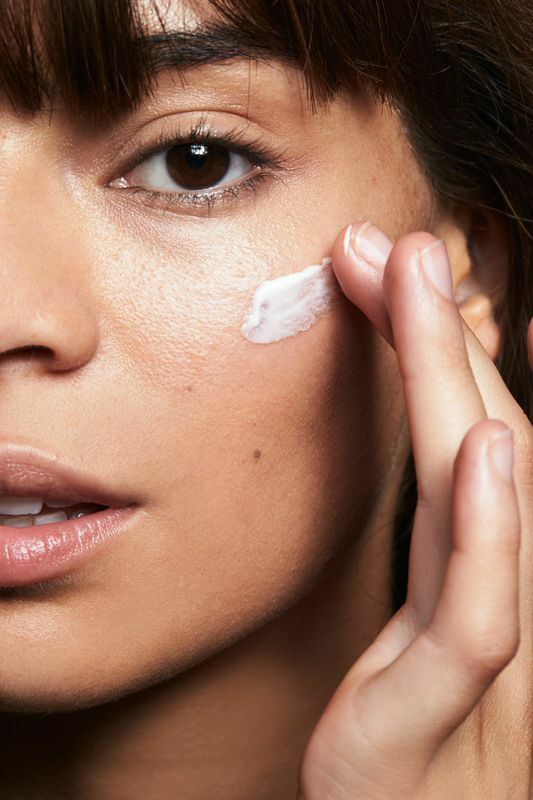 You can still protect and nourish your visage against fall’s drier climate – and the inevitable aging process (dry skin equals more fine lines) – by adding one of these oil-free moisturizer options into your skincare routine ASAP. Here are seven of our favorite oil-free moisturizers. No excuses, ladies. 1. Indie Lee Active Oil Free Moisturizer ($60) – Lightweight and oil-free, this all-natural formulation is ideal for those who want a brighter complexion, thanks to mandarin and daisy extracts. 2. Glow Recipe Watermelon Pink Juice Moisturizer ($39) – An Instagram-favorite, this gel-like pink fluid is made with zero oils, but full of other good-for-you ingredients, like watermelon extract, hyaluronic acid, and soothing botanicals. Ideal for combo/ oily skin is a moisturizer, but great for drier skin types as a serum, pre-cream. 3. Eve Lom Rescue Oil Free Moisturiser ($75) – Lightweight and oil-free, this formula contains a bit of salicylic acid to help control shine and offer a matte finish. 4. Sanitas Skincare Oil Free Moisturizer ($62) – Simple, effective, doesn’t leave a greasy residue but still adds hydration to the skin with a matte finish. We’re obsessed. 5. Simple Protecting Light Moisturizer SPF 15 ($10) – For those who want oil-free with SPF, this is the moisturizer for you. 6. Mario Badescu Oil-Free Moisturizer SPF 30 ($28) – A lightweight, oil-free, no-nonsesne formula that also gives you SPF 30 sun protection. 7. Kiehl’s Ultra Facial Oil-Free Gel-Cream ($30) – The oil-free alternative to Kiehl’s cult-favorite, Ultra Facial Cream, this gel-cream hybrid adds much-needed moisture without the oils.